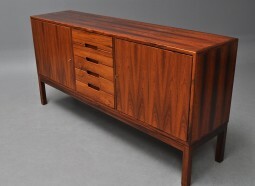 This is a top quality rosewood sideboard, very well made in the 1960s in Scandinavia, probably Denmark. 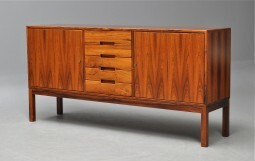 The front is cleverly laid out with repeating rosewood veneers to make a striking design. 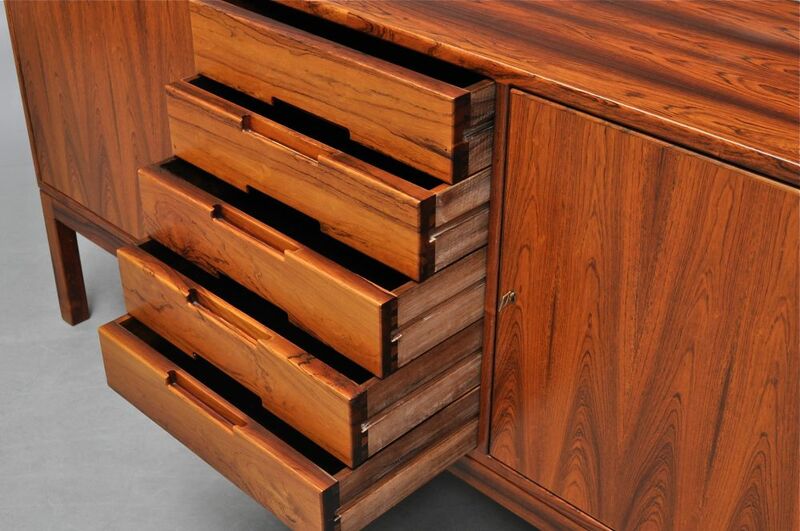 The opening doors to the sides reveal storage with adjustable shelves. In the centre there are five drawers. 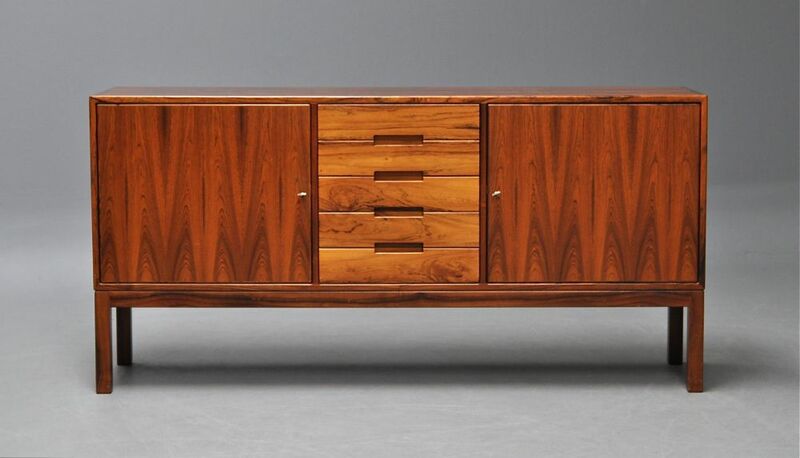 The whole sits on square legs placed in the four corners giving visual stability, this is unusual - most sideboards have legs inset from the ends. The sideboard is finished and polished on the back so could be freestanding. 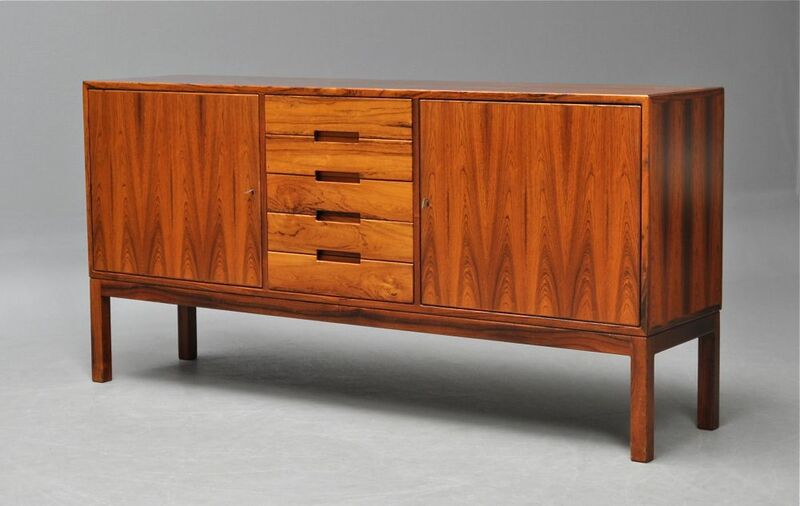 The sideboard is in very good condition, it has been cleaned, polished and waxed, and is supplied with two keys. The measurements are 185 cm wide, 45 cm deep and 91 cm high.